Home Improvement Tips & Tricks: Hard Choice for Hardware? Recently, a friend reached out with a design conundrum, which felt all too familiar. The problem? Selecting the right hardware for her remodeled kitchen. She asked, “Do I select finishes that match my appliances, or, do I keep it cohesive to the cabinetry?” She also made mention how the rest of the décor and fixtures in her kitchen would be contrary to her appliances, too. So, she was stuck. Did her hardware have to match her appliances, or could she pick hardware that matched the décor and fixtures? 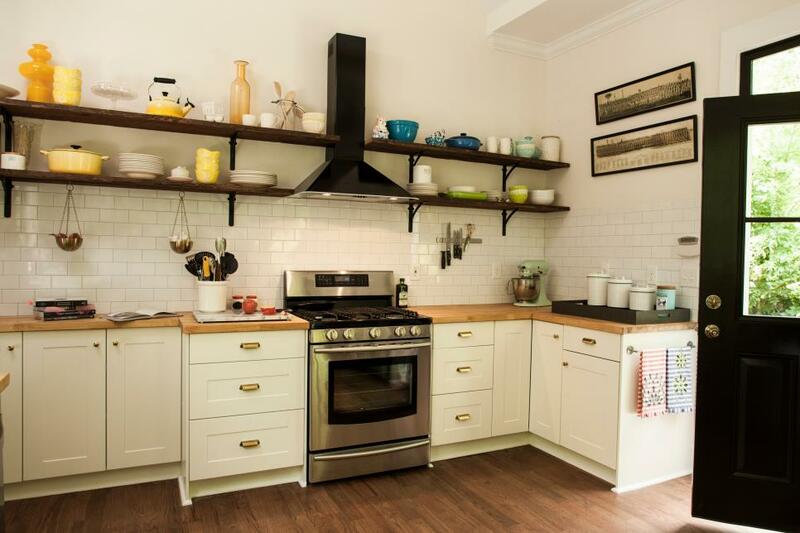 Furthermore, there were other elements in her kitchen that she could accent the finishes with, like her butcher-block countertops or her wrought iron shelving. All too often are homeowners stuck in this exact predicament; we’re almost programmed to feel that everything needs to match. Yet, when done thoughtfully, mismatched, accented hardware can giver kitchen a serious design upgrade! Mismatched hardware?! Don’t take this as literal as it may sound; think more along the lines of accenting certain elements of your kitchen. Start first by considering the two most important factors of your kitchen: the style & cabinetry. Is it modern, contemporary, traditional, country—the list is seemingly endless! Second, assess what elements in your kitchen you like most—is it the light fixtures or décor? Is it the countertops or faucet, or is it the appliances? Matching your hardware to the appliances isn’t necessarily a bad thing, however, the selection process can still be a daunting task. Once you’ve established the style of your kitchen and cabinetry, think of the hardware as jewelry that goes with it. (For the guys, stick with me here, it gets easier!) Like jewelry, you can have statement pieces (something bold & showy) or, you can have your “go-to” pieces (something subtle & refined). The same can be applied for selecting hardware; does your kitchen and cabinetry warrant a bold pull/knob, or does require something more muted? If you’re not matching your hardware to the appliances, select the color or finish, you want to use. Again, consider what aspect of your kitchen you want to accent them with. After evaluating her kitchen, my friend and I decided to select a brushed gold traditional pull that coordinated with her pendant light fixtures and kitchen’s style. Bear in mind these two helpful factors—first, many finishes come in many styles, so finding a modern matte finish in a classic or contemporary style, may not be as difficult as you may think. Second, select multiple options; once the color is narrowed down, pick a variety of sample styles and test them against your cabinetry. Be sure to also consider drawers and cabinets as they can permit different types of hardware, too. If you follow along with these helpful suggestions, selecting hardware doesn’t have to be an overwhelming venture, in fact (dare I say it) it can be fun! To learn more about knobs, pulls, and other types of hardware, check out this Houzz article. It will help as an educational tool for style types, and the pros & cons of each.